Recently I’ve been working with the great team at MAP Middlesbrough (Methodist Asylum Project) to produce their annual brochure and report for their supporters. 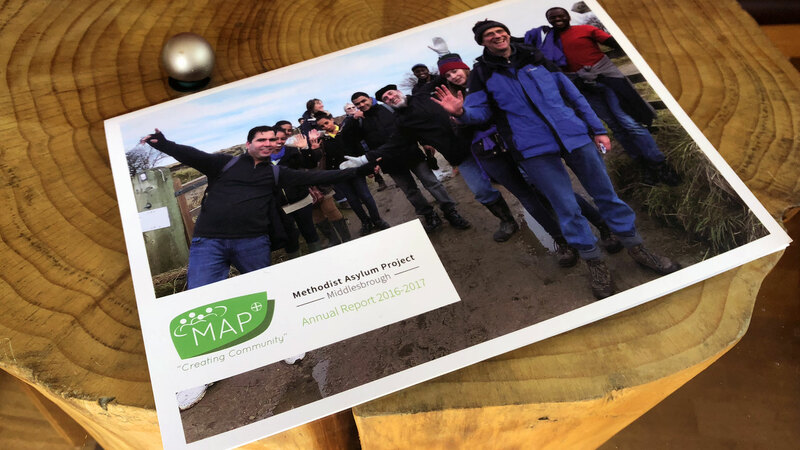 MAP Middlesbrough is a local charity that offers practical support and social opportunities to those seeking asylum in Middlesbrough, and to refugees. Their brochure is filled with examples and success stories of the work they have done over the previous year bringing support, direction, and joy to those seeking asylum. If you want to check out more photos of the brochure there’s a selection on my Instagram account. You can find out more about the incredible work of the Middlesbrough MAP team on their website.